No matter what is “in” at a given moment — hair-metal, rap-metal, boy bands, dance music, whatever — there will always be scattered men and women writing songs on guitars, pianos, or computers. They’ll be writing songs that mean something to them — regardless of what “demographic” it will appeal to — and without a doubt, these songs will connect with an audience. It may just be to the couple of hundred people who show up to their gigs at local clubs. That’s where Benjamin is now. And you have the chance to be one of those people who sees him now, before he jumps from playing for a few hundred to playing for a few thousand (or more). Apart from the obvious benefit of being able to say “I saw him back when (a) he played small joints (b) he still had a day job (c) he wasn’t yet a beloved icon to the singer-songwriter community, (d) he still” — ah, well, you get the picture — there’s some other good reasons to catch him at his next gig at a cozy bar near you. Well, that is, if you’re a fan of music and of the English language … our man Ben knows how to use each, and how to combine them to moving effect. And that’s the reason to check out one of Ben’s shows … today, at a hip watering hole, or a few years, or months (weeks?) down the road at a larger venue. Because, simply put, he writes great songs, and in performance — whether Ben is playing with a stripped down rock ensemble, a big backing band, accompanied by a cellist or just with his own acoustic guitar — the songs take on another dimension. So call out for “California,” “Hollywood Arms,” “Dear Elizabeth” or “Summer’s Gone” … or for his covers of songs by the Pixies or Matthew Sweet. Or Phil Collins. Or John Denver. Itês worth mentioning that he does these songs without a drop of irony. He doesn’t care who wrote the songs, or who popularized them (or how annoying said artists were at the time of their respective ubiquity). It actually speaks volumes that he chooses covers based on what the songs say to him, not on what his choice of covers say to critics and audiences about his “hip-factor” (or lack thereof). It shows a real commitment to songs, and a seeming blind spot to today’s music industry. That’s the kind of artist that music needs today, and that passion for the music is worth paying for, be it in a theater or in your favorite bar. Emotional gravity is the key to all of Wagner’s songs. Described by Entertainment Weekly as a “fuzz-guitar blast, ” Wagner churns up raucous, sing-a-long melodies. But like Ryan Adams, David Gray or Pete Yorn, he just as adeptly takes a more haunting, contemplative tact. Reveling in bands like the Replacements and the Pixies (Wagner even does a “twisted” cover of the Pixies’ “Here Comes Your Man”), the young songwriter strapped on a Martin acoustic and began playing in bands in high school and later, at Syracuse University. There, Wagner fronted the funky — and popular — local alt.pop band Smoky Junglefrog, opening for majors like the Mighty Mighty Bosstones, the Samples and Dada. Following the bands’ demise, Wagner moved to New York City and began playing a wide array of clubs like Mercury Lounge, Rockwood Music Hall, Arlene Grocery, Sin-e, and Brownie’s. How do? Passsing some time on a conference call at work, I Googled my name. Some how, I got a link to your site; something about driving me home drunk (thanks ;-) ). Anyhow, good to know you are out there and, it appears, doing well. Good Day Sir, just thought I would drop you a line. Retired from Verizon after 32 years, broke has hell on this end, hope you are doing better. 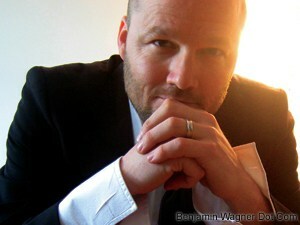 Just thought it was cool your name is Benjamin Wagner and you can sing, I can’t carry a tune in a bucket. Be careful and sounds like you have it all under control, just like a Wagner. PS: Like most music publishers we do not have a web site, because they draw tons of low quality unsolicited submissions. If you’d like to verify we are a fully licensed affiliate of BMI, you may call BMI’s Nashville office at 615-401-2000. Be sure to spell Highway 60 Music as spelled here. PPS: Our office CD system includes 1200 watts of power and ten speakers. Our computers’ speakers can not reproduce sound of the quality we require. This is the reason I requested you send a CD. I really like the blog! Extremely enjoyable read! Если бы не ваш сайт не знал бы где еще искать инфу, грамотные статьи и комменты делают Ваш портал безумно интересным. Спасибо! В признательности к этому сайту опубликую пару ваших статей на сайте- [url=http://evolutiontechnical.com/]технологические новости [/url] и поставлю на ссылку на Ваши работы. Very informative article, probably too I will on the site as colourfully to describe. Thank you. Ok this is so random, but my aunt posted your article about Mr. Rogers on her FB page, and I was like – I know him! Did you go to T/E??? I think you were a year behind me??? I was telling your Dad a few weeks ago that we went to Chicago to visit my mom for thanksgiving and had our youngest daughter in the car along with my brothers daughter , my mom and my wife. We had your Forever Young CD playing and my Mom just started singing with Moon River. I could tell she was very happy and we had a great time, she said the best ever because she laughed and sang so much.